There’s the cat eye… and then there’s the Katy Kat Eye! 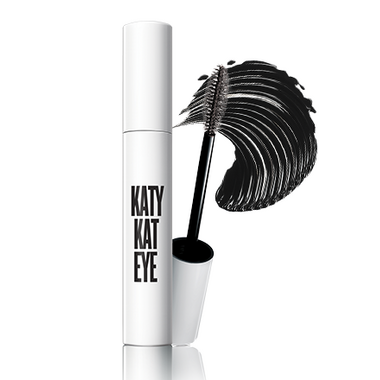 Katy Kat Eye Mascara features a Sculpting Brush that sweeps lashes up and out, for full, lush voluminous lashes. Create a 360° cat eye that won’t smear, won’t smudge, but will definitely make other cats jealous! If I could give this a 0 I would, it's terrible mascara! The brush is terrible to use, the mascara comes out in messy clumps. Extremely disappointed! This may be the worst mascara wand I have EVER seen. The bristles wind around and don't cover the whole wand end. A complete waste of money.